← Way to go Tom!!! 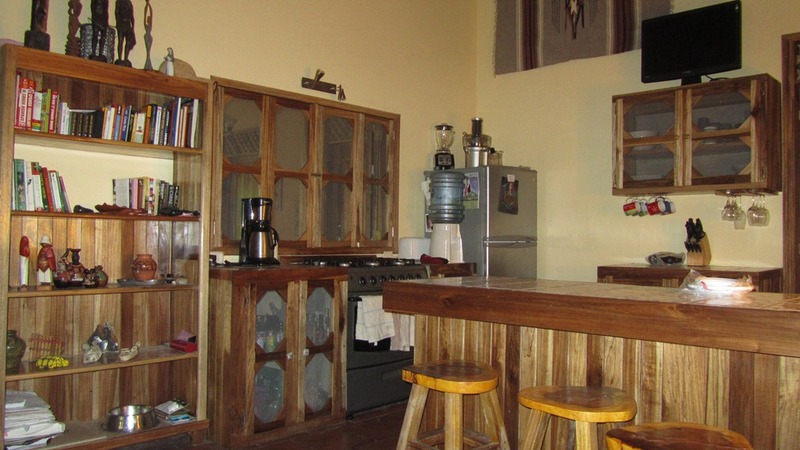 Before we moved to Puerto Viejo, we asked the people we bought our house from to recommend a carpenter as we needed to have a number of minor projects done before we moved in. 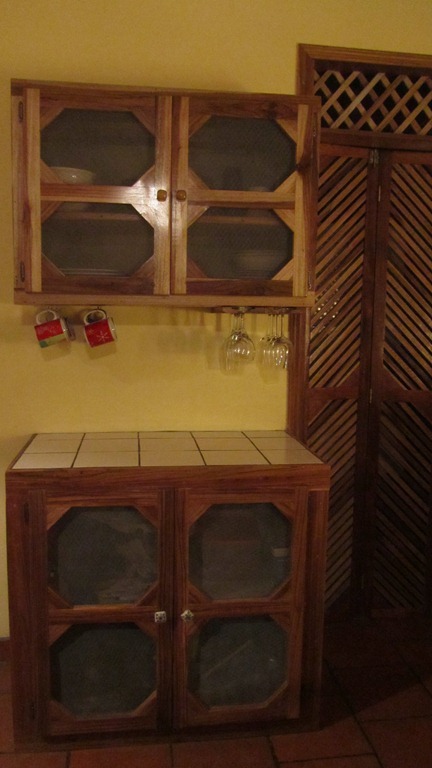 They recommended a young man who was originally from Nicaragua named Marvin and we have had him make us a variety of cabinets, shelves, and furniture. A few days ago we asked him to make us a cabinet for the bathroom and when he left he offered to help me with my Spanish if I could reciprocate and help him with his English. He has come over twice and is helping me immensely (although I am not yet helping him very much). Two nights ago, after we were done, he and Tom got talking and he told us a bit about his background. He is thirty one years old and was raised by his grandparents (who he calls mom and dad) after his parents just walked away and left their five children. He is the oldest of his siblings and has helped his grandparents support all of them his entire life. When he was twenty he almost sliced off his entire hand while working and his grandfather sold two of his farm trucks to come up with the $16,000 needed for the operation. His hand was saved and he was able to continue in his profession as a carpenter. He is married and has two children who go to school here in Puerto Viejo where they are learning English – hence his desire to learn the language himself – so he can help them with their homework. A few years ago he and his siblings built his grandparents a nice new house in Nicaragua by hand from the ground up. He also sends them $100 each month and paid to put his sister through college – she is now an accountant. All of his siblings now live here in Puerto Viejo although they do go back to Nicaragua to see their grandparents often. Marvin is an extraordinarily hardworking young man who is both a perfectionist and extremely conscientious. At times I feel bad that he is taking time to help me when he works so hard and has a family. But he made a commitment and is sticking to it. Today marks the eighth month that we have been living here in Puerto Viejo. It is still so hard to believe sometimes that we are here and that everything is going so well. The days seem to fly and there just don’t seem to be enough hours to do everything I want to do – watch and study birds, study and learn Spanish, work on the garden and the new yard, nap, take walks and read. Every day brings something new. It is a good life.